CBS Drama became the last of the CBS UK channels to launch on Freeview, following a rapid roll-out of the CBS channels on the digital terrestrial TV platform in the past 18 months. CBS Reality was the first station to arrive on Freeview, on 1st April 2014, with CBS Action following on 1st October 2014. 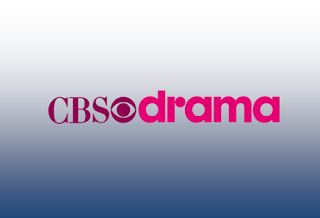 CBS Drama followed 11 months later on 1st September. This section will be updated through the course of the month with the latest updates, usually added within 24 hours. YourTV (ArqA/COM5) has moved from channel 78 to channel 73. It launches 01/10/2015. YourTV+1 (ArqB/COM6) has moved from channel 79 to channel 78. It launches 01/10/2015. Arise News (COM7) has been removed from channel 136. Your TV - channel 78 (ArqA/COM5) New to Freeview. Information slate ahead of launch at 1pm on 1st October. More information here. Your TV+1 - channel 79 (ArqB/COM6) New to Freeview. Information slate ahead of launch on 1st October. Jewellery Maker - channel 76 (ArqB/COM6) connected TV service launched on compatible devices. ITV3+1 redirection slate - channel 793 (SDN/COM4) removed. Viewers who haven't retuned should retune to restore them. ITV3+1 will be on channel 34. CITV on 122. CBS Drama - launched on channel 74. New to Freeview. (SDN/COM4). Daystar - closed and moved to channel 790. (COM7). The Store - channel 39 (SDN/COM4) Extended broadcast hours 0600-0400. Now carrying programmes from Hochanda TV. Showcase - New on Freeview channel 254 (SDN/COM4) Streamed/hybrid channel. 1 October 2015: YourTV and YourTV+1 More information here. 1 October 2015: Community Channel - multiplex change. 2016: CBBC to be extended by 2 hours a night, according to the same proposal. 2018-2022: 700MHz clearance - Major changes to the Freeview service expected. WHERE WILL LIVE CHAMPIONS LEAGUE FOOTBALL BE SHOWN? BT Sport will broadcast a minimum of 12 Champions League football fixtures each season via BT Sport Showcase, which is currently on Freeview channel 59. BT Sport Showcase is available to around 90% of UK households, and is broadcast together on the same frequency as Spike (channel 31). You may need to retune if you can receive Spike on Freeview, but not BT Sport Showcase. Local TV services for Aberdeen, Ayr, Basingstoke, Carlisle, Dundee, Guildford, Maidstone, Mold (NE Wales), Reading, Salisbury, Scarborough, Swansea, York are licensed by Ofcom and due to launch within the next two years. Eleven years ago in September 2004, Disney owned entertainment channel abc1 launched on Freeview channel 15, where it was available from 6am through to 6pm, except in Wales. The channel became home to comedies including 8 Simple Rules, Home Improvement, Sports Night, Ellen, Scrubs and Less Than Perfect. It briefly showcased drama including Commander In Chief and classic series Moonlighting. In 2006, the channel began showing children's programmes from Playhouse Disney in the morning. Three years later, in September 2007, the channel closed down. Six years ago, on 09/09/09, Welsh broadcaster S4C swapped Freeview broadcast slots with E4, to give it universal coverage across Wales from digital switchover. S4C had previously been part of a channel group that would only be broadcast from main transmitters. Since then, E4 has only been available to those viewers in Wales who can receive Freeview from a main transmitter. 700MHz clearance is due to take place at some point between 2018 and 2022 - exact dates are to be finalised.